Our design team can find a window covering solution to any triangle or irregularly shaped window or window glass in your home or office. 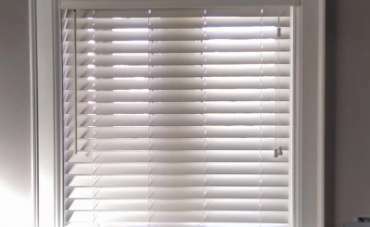 Variety of options for vertical blinds to cover a sliding glass door or a large window. 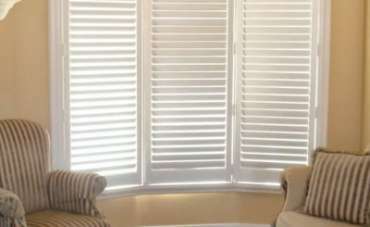 Superior light control and privacy with our custom shutters. 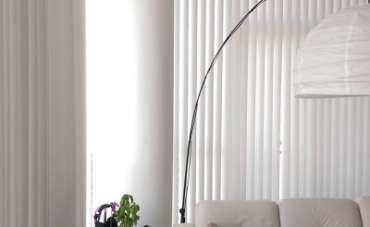 Stylize your home with your choices of our various types of roman shades. 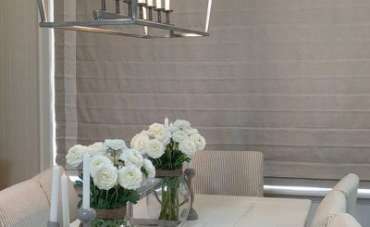 Custom panel track blinds solutions for covering patio doors, sliding glass doors, and oversized windows. 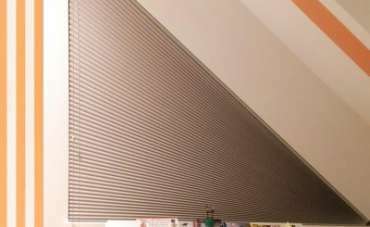 Durable, moisture resistant wood and faux wood blinds in a range of colors and finishes to suit your décor. 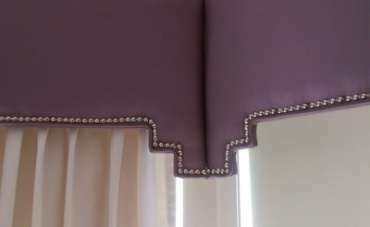 Custom cornices reasonably priced and made of premium quality material to style your doors and windows. Custom drapery solutions for residential and commercial design, full service and professional approach!